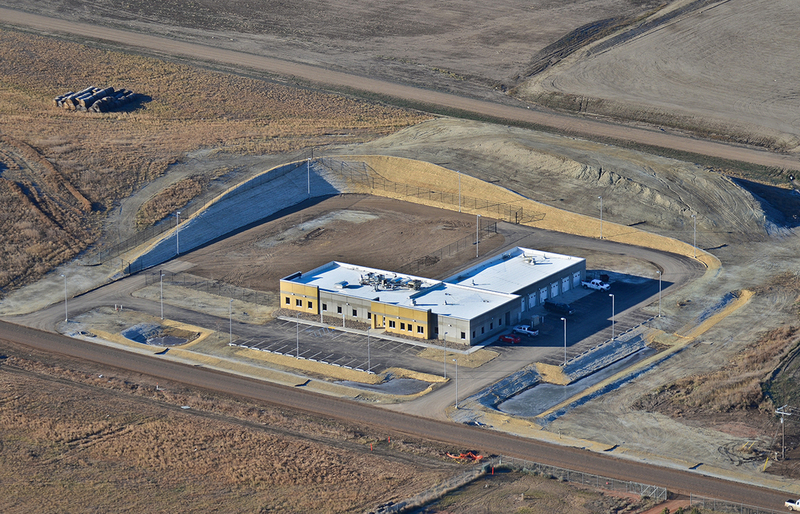 This new ground-up facility is a 16,000 square foot insulated, precast concrete exterior steel frame building designed for the extreme climate changes and harsh winters of Northwest North Dakota. The building is designed as the main combination data center for phone/cable TV/internet distribution center and also set up for vehicle servicing and fleet washing as well as office and field technician work spaces for the western region of this utility provider’s territory. The building was designed to provide communications’ services to the government and for private users and to handle communications for the rapid growth of the oil field industry of the Bakkan Shale area. The facility has state-of-the-art HVAC systems with in-floor radiant heating, multiple hot water boiler systems, back-up generator, water treatment systems, as well as special CRAC HVAC systems and a clean agent fire suppression system for the critical services areas of the facility. The project includes a special underground vault and multiple large conduit system banks that are deep in the ground to be below the frost depth. The project was completed on time and under budget in 120 days from breaking ground until final completion.